There are 10 sailing events in the 2012 Olympics, each to be held off the coast of Weymouth, in Dorset in south-west England. World governing body ISAF lists the six men's events as the windsurfer (RS:X), one-person dinghy (Laser), heavyweight one-person dinghy (Finn), two-person dinghy (470), skiff (49er) and keelboat (Star). 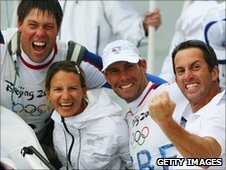 The four women's events are named as the windsurfer (RS:X), one-person dinghy (Laser Radial), two-person dinghy (470) and match racing (Elliott 6m). Each nation can qualify a maximum of one boat per event. Qualification largely hinges on the 2011 World Championships off Perth, Australia, to be held in December, where 75% of Olympic places will be won. A top-10 finish in any event at the 2011 Worlds (bar the match racing, where that number becomes the top eight) would be good enough to reach the Olympics, assuming the boat in question is the top-ranked from its nation. In some instances many more boats will qualify - for example the men's one-person dinghy, where 35 athletes can earn an Olympic berth in Perth. Check ISAF's full qualification document for the full event-by-event breakdown of how many boats qualify. From there, the remaining 25% of places will be sealed at the various World Championships of sailing's 10 classes in the first half of 2012. 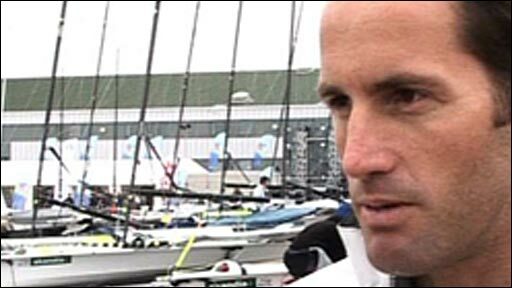 British sailors are among the finest currently competing in the sport and will expect to mount serious medal challenges across the majority of classes in 2012. GB is guaranteed one entry into each event as the host nation, but Britons would be expected to qualify through competitive routes even if that were not the case.